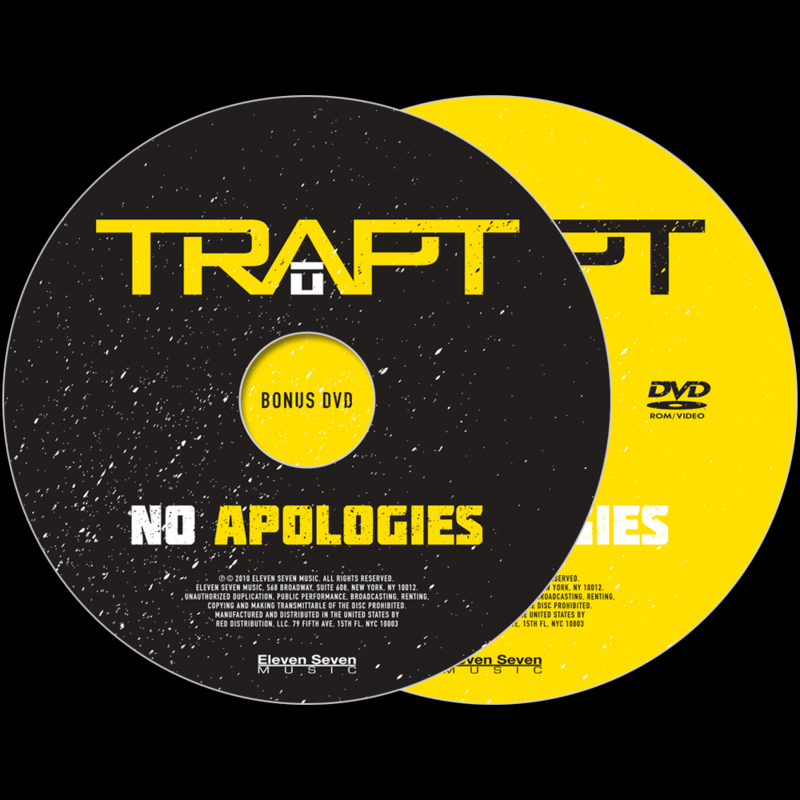 DiscsCD Disc with Bonus DVD3 Colors ea. 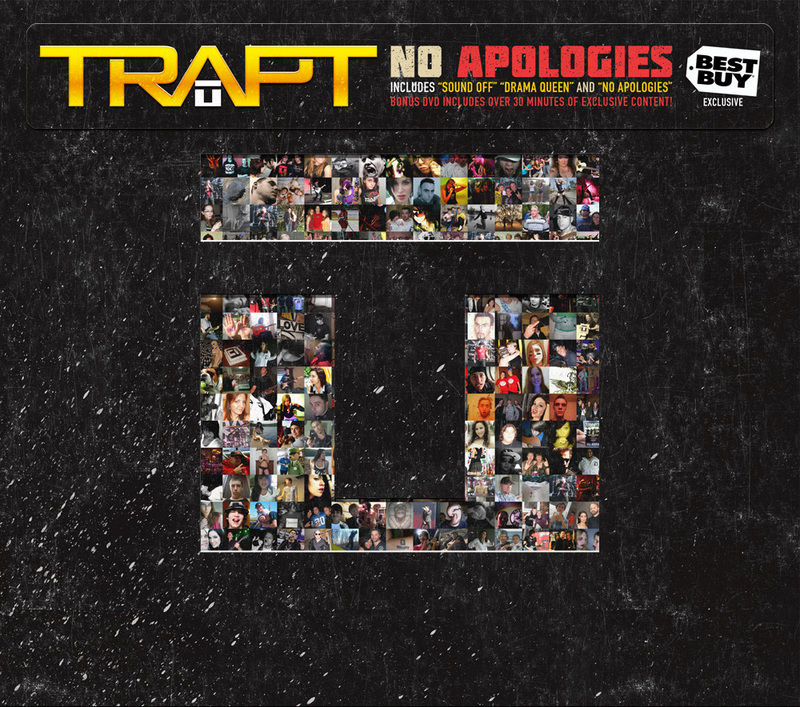 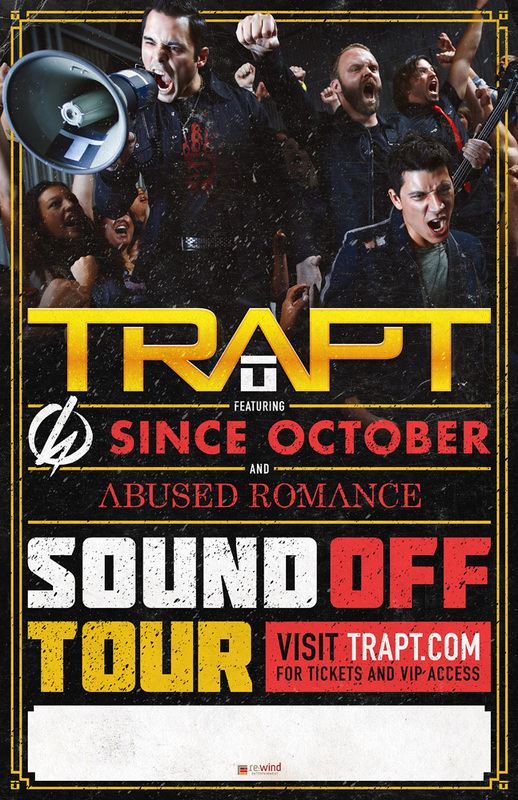 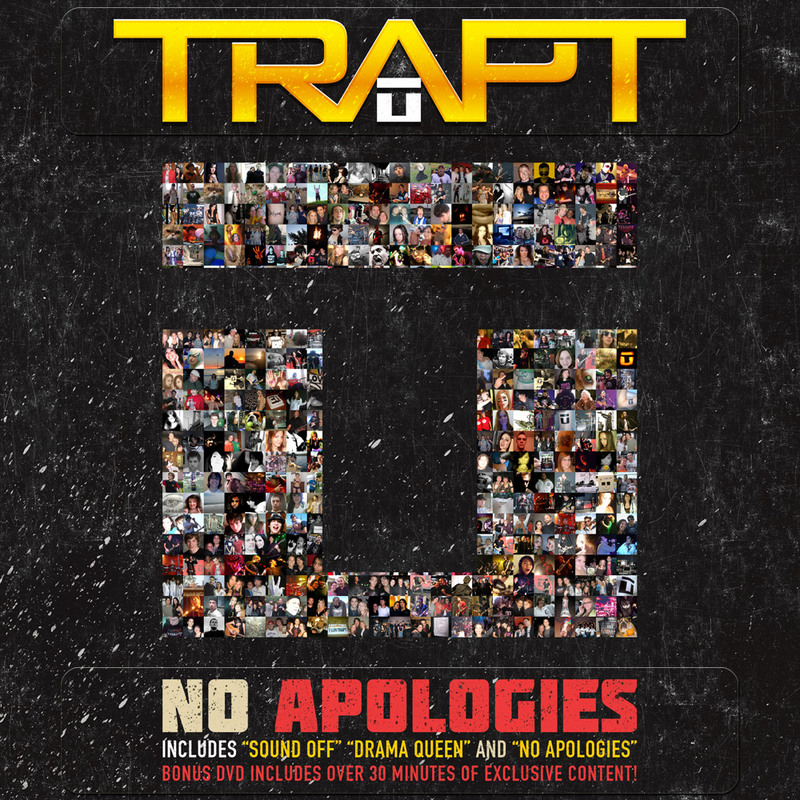 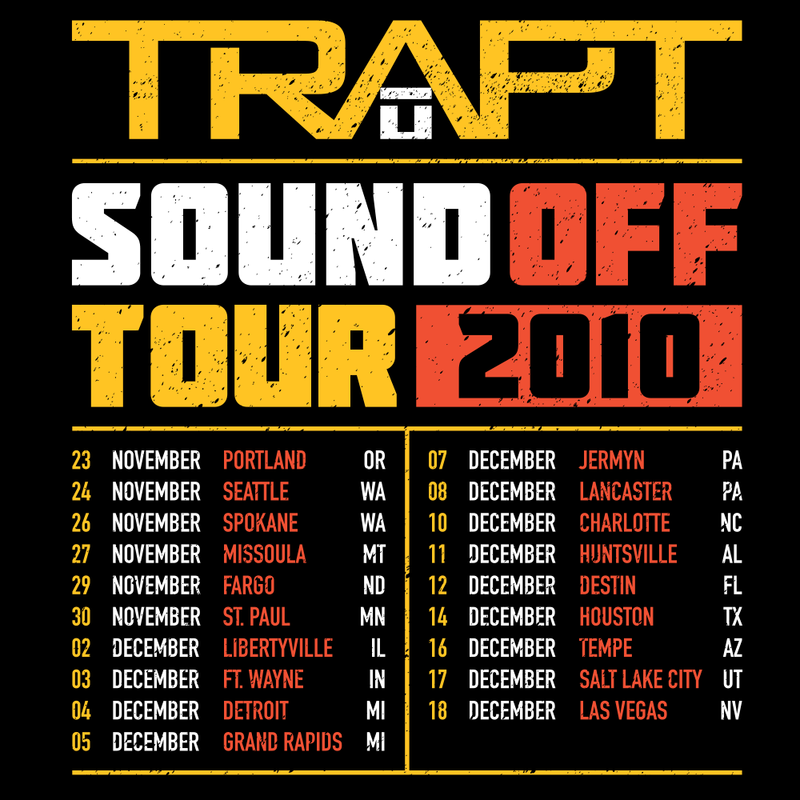 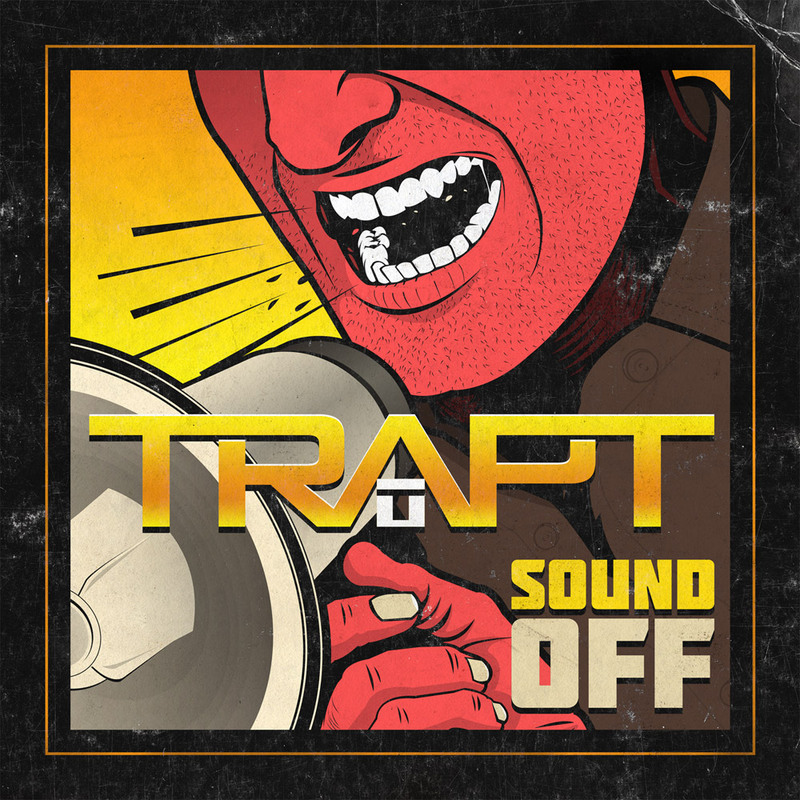 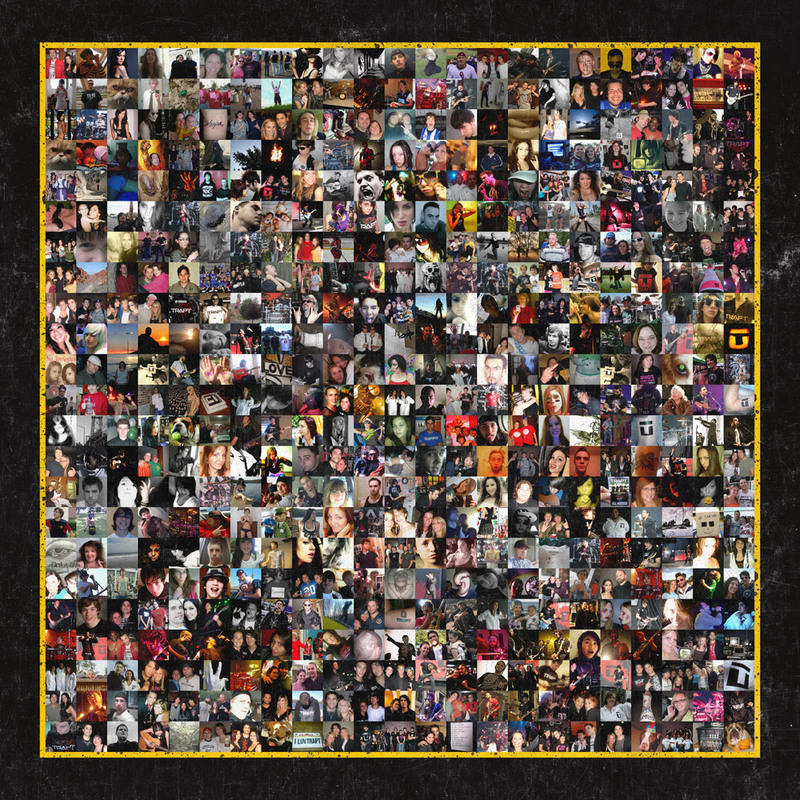 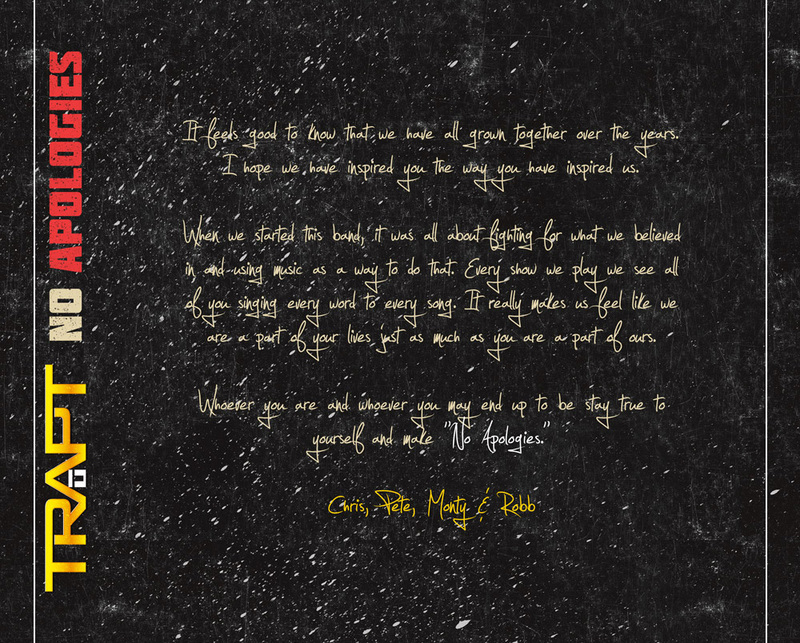 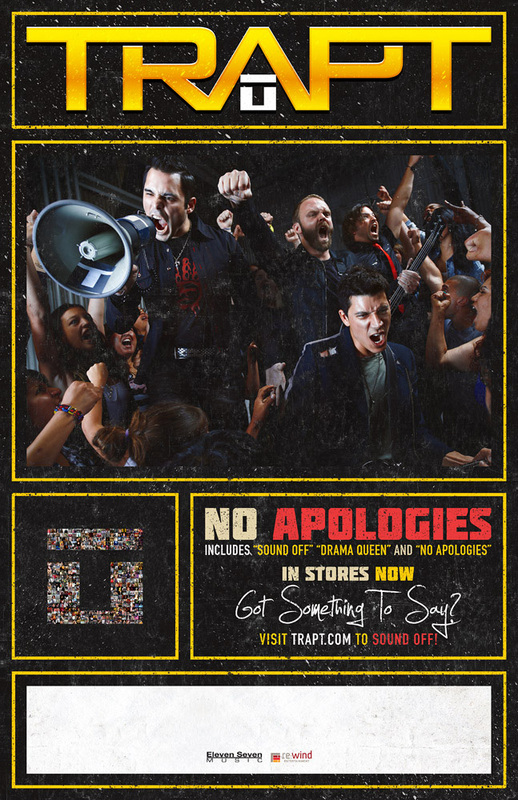 A love letter to their fans, our final album artwork for TRAPT was created in part with participation by fans. 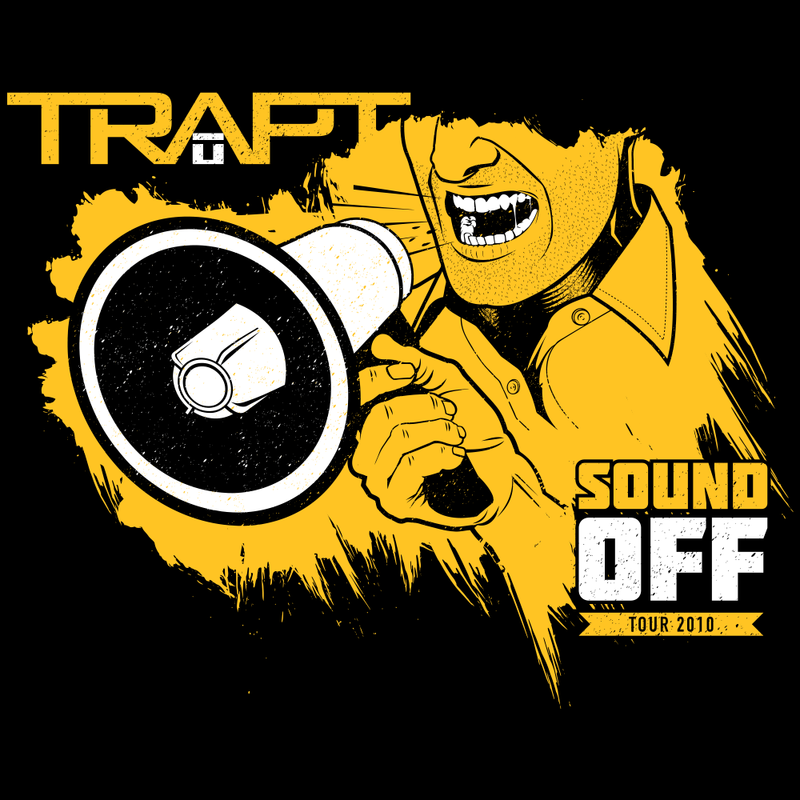 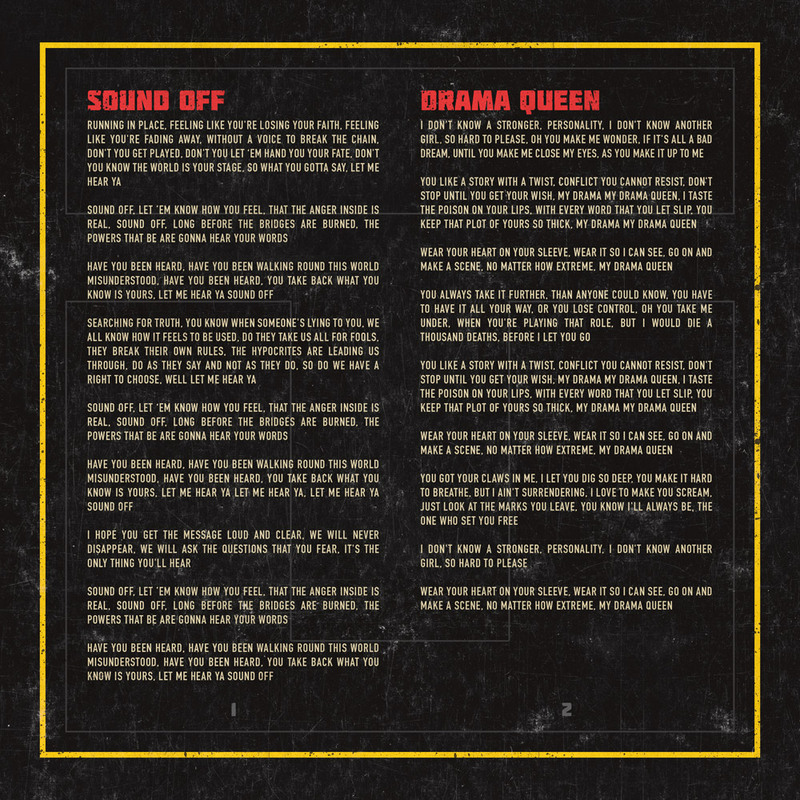 As part of the album and single promotion, I developed a “Sound Off” website where fans could submit their photos and incorporated hundreds of these images into the matrix of images on the cover that fill the band’s T-shaped icon. 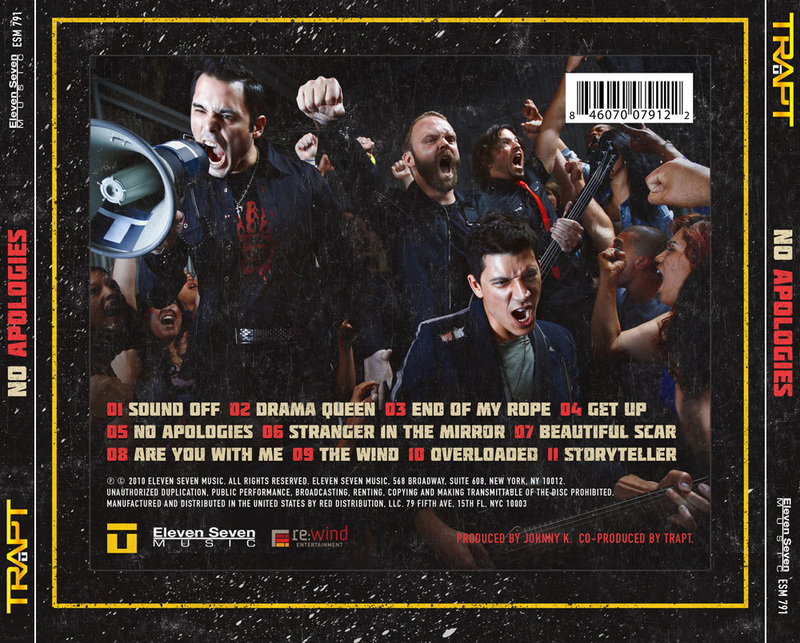 A deluxe version of the album was released in Best Buy stores only which featured a bonus DVD and die-cut o-card and unique booklet cover exposing more fan photos. 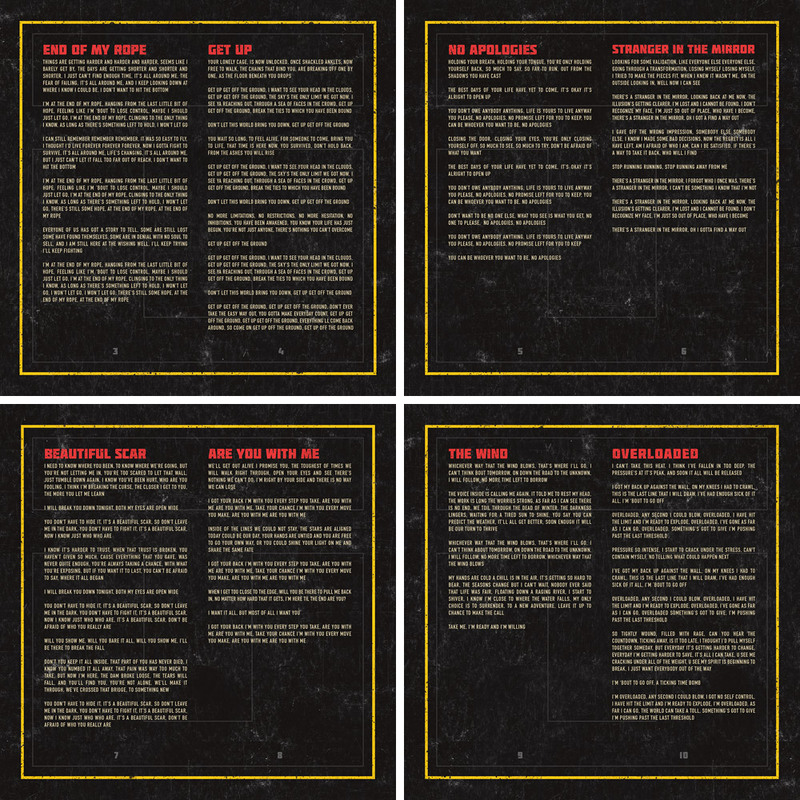 Custom stickers were printed and applied to the packaging of both standard and deluxe versions to help advertise the contents of the album. 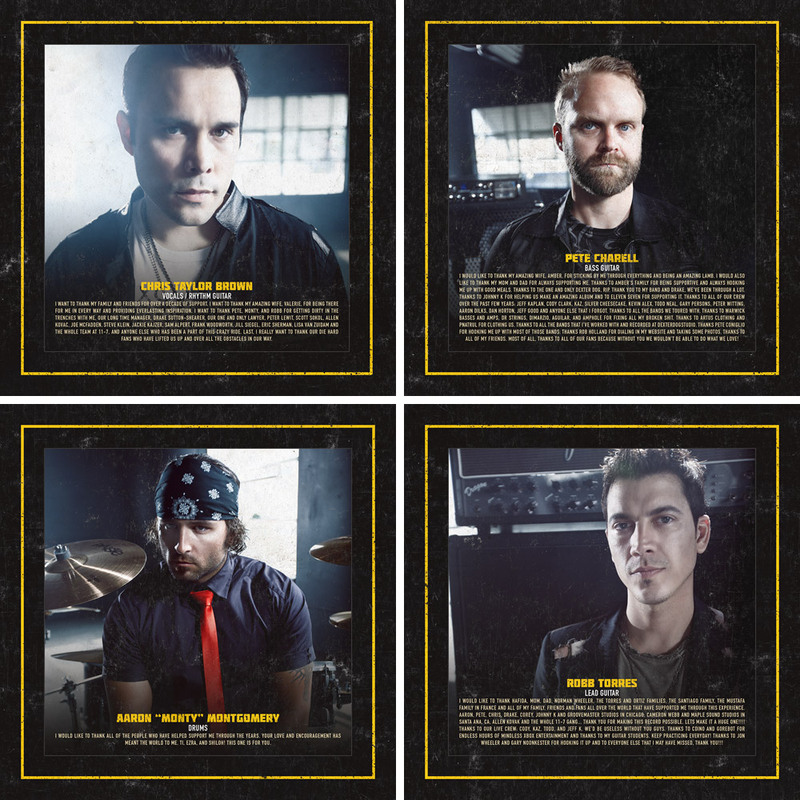 This album release included several poster, merchandise and web projects featured across our portfolio.